Fly Fishing in Cherokee for Monsters! Fly fishing in Cherokee is a unique opportunity. 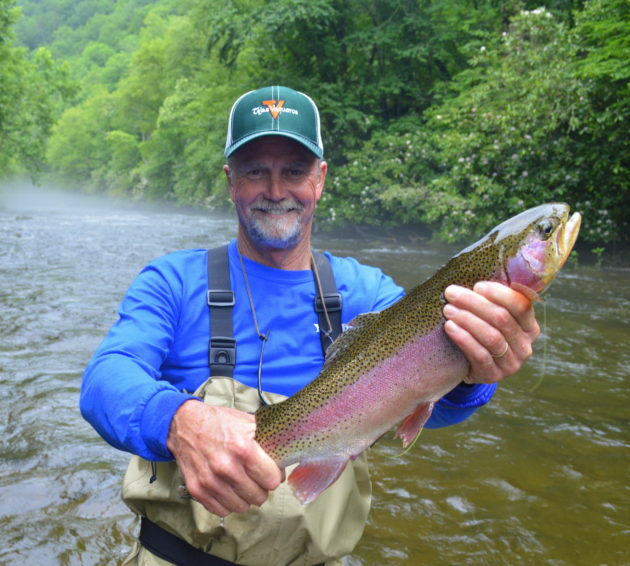 Cherokee NC offer’s some of the best fly fishing waters in the South Eastern United States. The Eastern Band on the Cherokee Indians manage over 30 miles of stocked water that are loaded each week with some of the healthiest fish in the south. Cherokee has a special Fly Fishing Only section aptly named the “Cherokee Trophy Section” that is 2.2 miles long and is home to some rather large resident trout. Brown Trout and Rainbow Trout caught here are regularly in the mid to upper 20 inch range with the occasional Brown approaching 30 inches. The North Carolina State record Brook Trout came from the waters in Cherokee on the Ravens Fork which flows pure straight from the Great Smoky Mountains National Park. These three species, along with the Golden Trout and the Donaldson strain Rainbow Trout give you plenty of reasons to flyfish Cherokee. Rates starting at $87.50 per person! For Reservations call (828)-488-7665 or book securely from our website! Be sure to check out our Summer Specials! These “Cherokee River Monsters” fight hard and have been known to break rods. Fly Fishing here is a unique opportunity. Fish here are generally measured in pounds, not inches! 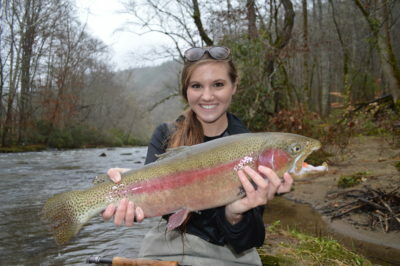 Come catch the fish of a lifetime in Cherokee, your next personal best trout is waiting for you! Call us at (828)488-7665 or send us an email to guides@flyfishingthesmokies.net and we’ll be happy to help custom tailor a fly fishing trip that is right for you. Come fly fish Cherokee and the Smokies with us, we’re sure you’ll create memories that will last a lifetime!